Rate this Article If the shutdown of the popular browser-based MMOFPS, Bravo Storm, has gotten you down, well, don't be - there are tons of other equally fun games like Bravo Storm that you can play. Let us check them out together! Bravo Storm is an intense and fun, in a competitive kind of way, military-themed browser MMOFPS game that stands out from the common masses of FPSes simply by being truly challenging. 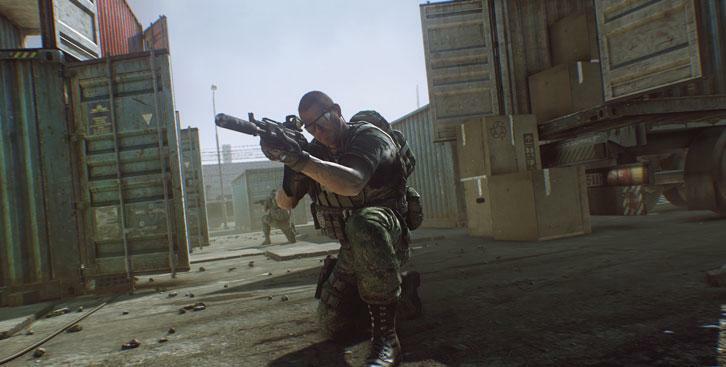 Unlike other games, Bravo Storm doesn’t provide players with any form of “handholding” and hence, has omitted many FPS features that we often have taken for granted like crosshairs, no friendly fire, melee weapons like knives, minimap, and unlimited ammo. 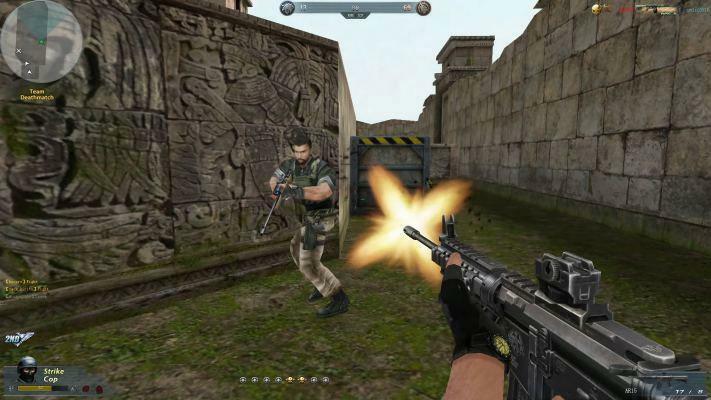 Although the game emphasizes on teamplay like most MMOFPS games do, it also provides competitive players the chance to show-off their individual skills via the free-for-all mode. It even follows in the footsteps of Call of Duty by offering tons of amazing skins that can make you look insanely good while dishing out kills. However, Bravo Storm was shutdown back in September 23rd, 2016 as the developers moved on to something new. The game had a pretty good run featuring stats like approximately 178 million kills, 19 million games played, 31 million headshots and 18 billion rP (game currency) earned. But as much as you can mourn the figurative passing of Bravo Storm, you’d prefer if you can find another equally fun browser MMOFPS game to take its place in whatever free time you have. Well, if that’s the case, we’ve got the list of games for you! Do take a look! Similar to Bravo Storm, Contract Wars is a first-person MMOFPS game that’s intense and competitive. This game puts you in the shoes of a private military contractor set in world of a not-too-distant future. However, if you were to compare the two, this game does seem to have better graphics, more maps and game modes, and generally, an easier gameplay due to all the “FPS comforts” that we are often used to like crosshairs. The downside though is that Contract Wars seems to have all the shortcomings of Bravo Storm as well. This includes the limited weapon customization aspect where you can only add sights and equip skins, and the rather low variety of guns available for purchase. So, in some way, Contract Wars is the slightly-easier-to-play and much better-looking alternative to Bravo Storm. Global Strike is another browser MMOFPS game that has a military theme and a gameplay that will have you keep respawning every few seconds up to a few minutes. 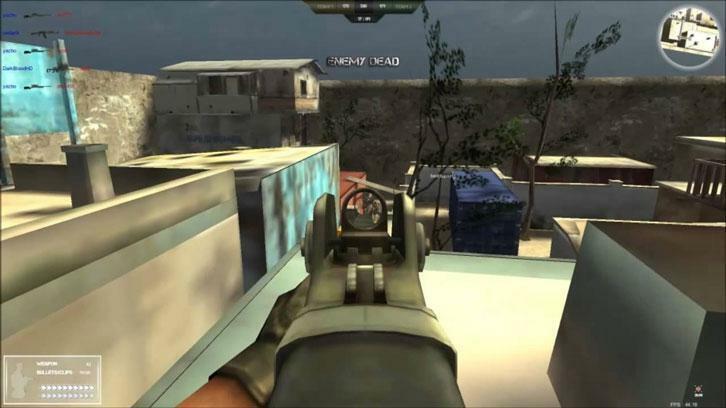 The gameplay is often very fast-paced and, like Bravo Storm, it often rewards players who know all the best spots to camp and ambush their enemies on the map. However, unlike Bravo Storm, the types of guns and knives available in this game is definitely on the higher end – though it does lack the RPG. You also have more ways to customize your avatar. There are a lot more maps and game modes as well, including the highly popular zombie mode. Of course, in terms of the FPS mechanics that are in place, this game is more similar with Contract Wars where crosshairs are a thing. Global Strike is incredibly popular especially on Facebook, so you wouldn’t need to worry about not having enough players to play with. In fact, the game has multiple localized versions along with similar-looking spin-offs like Blood Strike, Headshot and First Blood. Rush Team is, in many ways, more similar to Global Strike than Bravo Storm but it’s still a pretty good alternative game to play if you’re looking for a browser MMOFPS. It’s not as difficult to get into than the latter since the game has huge crosshairs, a minimap where friendlies are marked, fast respawn rate, and if you’re injured, you can even pick up health kits in the game to regain some health. However, this game does place a lot of emphasis on map awareness and knowing where are all the common ambush spots. Unlike Bravo Storm though, the game offers players the option to slash, stab and chop their enemies using a variety of fun melee weapons. It even has a nice spectating mode which not many, if any, browser MMOFPSes offer. When it comes to graphics, this game definitely loses out to Bravo Storm and Contract Wars. Red Crucible: Firestorm has everything you’d expect from a standard MMOFPS game with some pretty nice graphics, particularly the Steam version of the game. It has an acceptable range of weapons for you to fight with, some nice cosmetics for your avatar, as well as a good variety of maps and game modes. However, interestingly, if you’re playing as an infantry, you’ll quickly notice that this game has that one rare thing that Bravo Storm has... or to be accurate, lack of – crosshairs. Now, Red Crucible: Firestorm may have the military theme and the mechanics down right, it is a bit different than Bravo Storm mainly because of its emphasis on vehicular combat where you can drive a tank or helicopter around and mow down any poor infantry you bump into. However, if you want to opt for a more FPS, and hence more “Bravo Storm-like”, gameplay, you can join a game room with the infantry-only mode on. 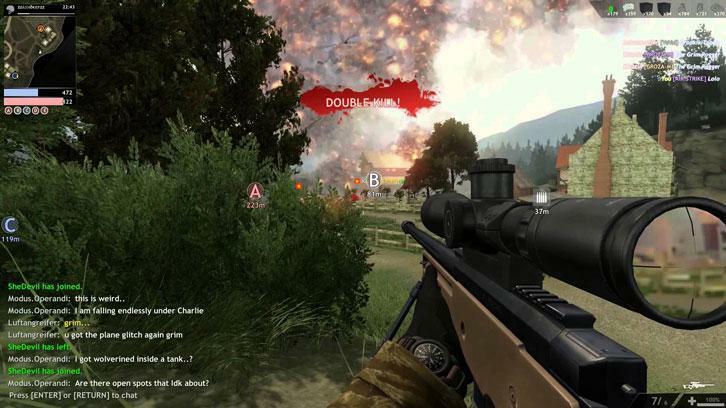 Red Crucible: Firestorm has a spin-off called Red Crucible: Reloaded that you can try as well. They are basically similar - like 99% the same – but if it were up to me to decide, I’d go with Reloaded since it has supposedly better visuals.